As mentioned in a recent 222 meeting, we want to create an opportunity for us to share prayer requests and answered prayers with one another. Since many of the young men in our group are beginning the study in Wayne Mack's "Reaching the Ear of God", this seems like a great time to make this communication available via the 222 blog (hopefully you've been praying for one another already!). Click on "Comments" or "Post a Comment" at the bottom of this blog entry. A "quick link" to this "Prayer Requests" blog entry will be posted in the right hand sidebar of the page, under "About This Site". And the prayer of faith will save the one who is sick, and the Lord will raise him up. And if he has committed sins, he will be forgiven. Therefore, confess your sins to one another and pray for one another, that you may be healed. The prayer of a righteous person has great power as it is working.Elijah was a man with a nature like ours, and he prayed fervently that it might not rain, and for three years and six months it did not rain on the earth. (English Standard Version)English Standard Version (ESV) The Holy Bible, English Standard Version Copyright © 2001 by Crossway Bibles, a division of Good News Publishers. I have been listening to some sermons from Bethlehem Bible Church in Mass. Their pastor/teacher is Mike Abendroth. 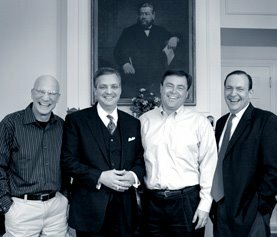 ...guys Jeff probably knows because of Masters Seminary connections. The reason I bring them to your attn: is they are taking Sunday nights to work through Wayne Grudem’s Systematic Theology and Pastor Mike is going to be going thru it for however long it takes until they finish all 57 chapters. Anyway I thought it ties in nicely with the Bible Doctrine and we might want to put it as a possible link on the 222 blog to use as an added resource. Plus they have many other great sermons. Their web address for the sermons is: http://www.bbcchurch.org/index.php?p=bbcaudiosermons. They are not as far along in the study as they didn’t start that long ago and haven’t always had sermons based off of the Systematic Theology. I think the first sermon is Oct 23rd, 2005 and they seem to all be entitled “Theology You Can Use” with the topic listed afterwards. Thanks for the link, Michael. Enjoy everyone! 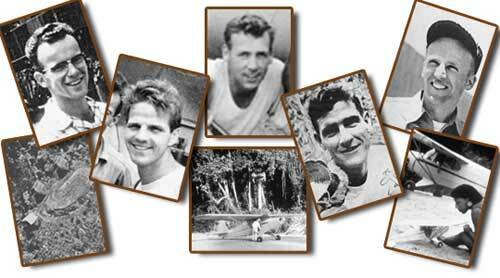 In conjunction with the movie "End of the Spear" coming out in theatres across the country, here's a few links to even further familiarize yourself with the five missionaries. These links include audio, video, interviews, blog sites, and more. Click here for a link to the Plymouth Brethren site that contains several audio/video resources. Also, a blog not exclusively devoted to the missionary martyr, but lately has generated lots of buzz - expecially about the casting of Chad Allen (a homosexual and outspoken gay advocate). Click here to visit SharperIron. Bible Doctrine Study Groups Resume! 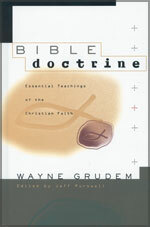 Lord willing, we will resume the Bible Doctrine Study Groups beginning next week. Please check the 222mission calender for meeting times and locations, and you might want to go ahead and contact the group leader in case of any last minute time/location changes. Their contact info is available on the calender as well. This coming Lord's Day, we will be covering the last half of chapter 9 on Prayer. Please finish this chapter if you haven't already, in preparation for Sunday's class & further discussion. ...rhymes with "Blogs and Links". Also, under the "Helpful Links" category, you'll find...well, helpful links to sites containing sermons, theology and other helpful tools as you pursue your walk with the Lord and knowledge of His Word. The intent is to constantly be adding beneficial sites to this category. Allow me to highlight one site: www.monergism.com This site was mentioned in a previous blog entry, but it warrants another plug. There is simply so much information, articles, sermons, etc. on this site that there is not enought room here to describe it all. Just visit the site and peruse the topical index menu on the left side of the page...topics including Abraham...Worship...Seeker Sensitive Movement...Sin and Temptation...Bad Theology...Atheism...Christianity 101...John Calvin...etc. You've got to check this site out! As always, use discernment (Acts 17:11) when visiting other sites and reading/studying doctrinal issues. And know that all views and positions on any of these sites may not necessarily be held by the leadership of The Bible Church of Little Rock. Also, if you have a favorite site you visit often that's biblically sound and edifying, send me a link and I'll check it out and we'll possibly add it to our sidebar. For example, Gary Davison just recently sent me a link to a new blog started by the leaders involved in the "Together For The Gospel" conference (Al Mohler, CJ Mahaney, Ligon Duncan, etc), which looks like it will be interesting reading. So, enjoy the links, and send me a few of your own. It has been confirmed and you may now officially mark your calenders. If the Lord wills, Friday & Saturday, June 2 & 3, 2006 will be the weekend of our 222 Summer Retreat (we're doing a summer retreat rather than fall, with the hopes of possibly doing a winter retreat as well). 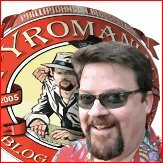 The guest speaker for the retreat is also confirmed, and is none other than Phil Johnson, aka "Pyromaniac" in the blogosphere. If you don't know anything about Phil...prepare yourself! Below are several links to his widely popular blog, his personal website, and his Spurgeon Archive - probably the most extensive Spurgeon resource on the web. Here's an excerpt from his own bio, with other links below. Phil is the executive Director of Grace to You, a Christian tape and radio ministry featuring the preaching ministry of John MacArthur. Phil has been closely associated with John MacArthur since 1981 and edits most of MacArthur's major books. 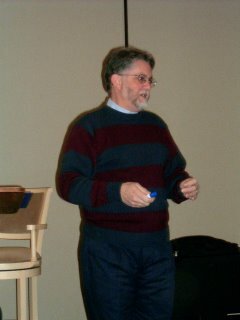 Phil is an elder at Grace Community Church in Panorama City, CA, as well as a trustee of The Martyn Lloyd-Jones Recordings Trust in England.Phil studied at Southeastern Oklahoma State University for one year, then transferred to Moody Bible Institute, where he earned a bachelor's degree in theology (class of 1975) . He also spent one year at a fundamentalist Baptist school in Tennessee, and took some courses in publishing and editing at the University of Chicago. He was an assistant pastor in St. Petersburg, Florida and an editor for Moody Press before moving to Southern California to take his current position in 1983.Theologically, Phil is a committed Calvinist—with a decidedly Baptistic bent. (That explains his love for Charles Spurgeon). Phil is also an inveterate reader and bibliophile. He once ran a marathon—but that was 1977. You wouldn't think it to look at him now. Oh, and you've got to check this one out!! I know you're going to love getting to know Phil - just reading his online material will get you really acquainted with him. And he's a great proclaimer of God's Truth. So, mark your calenders now, for June 2nd and 3rd, 2006 for the 222 Summer Retreat. After soaking in 20 hours of Dr. Bruce Ware's theology classes last week, inculding theology (study of God), bibliology (study of the Bible) and pnuematology (study of the Holy Spirit), Aaron shared some thoughts during Bible Doctrine this past Lord's Day on the subject of RELATIONAL MUTABILITY. This was something Dr. Ware mentioned during his course on theology, and Aaron expanded it a bit, providing scriptural evidence for the position. In a nutshell, relational mutability is the term used to describe the change in relationship that God has with His creatures. As one theologian has put it, "it is necessary for an unchangeable God to change in his dealings with changing men in order to remain unchangeable in his character and purposes.” Thiessen, Henry C. Lectures in Systematic Theology. Grand Rapids: William B. Eerdmans Publishing Co. ,1979 pg 83. This could be most clearly understood in God saving sinners - we move from a "relationship" of enmity with God, to being called "friends" (John 15:15) and "sons" (Romans 8:15), etc. 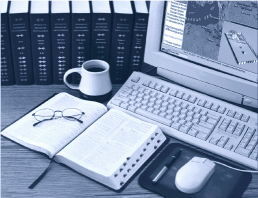 To look at the study notes used for the class, just click here. If you have any thoughts or comments or rebuttals, leave a comment & perhaps it will provoke some dialogue (or would it be called "diablog"?). By the way, here's a great website that links dozens of great systematic theology texts for FREE ONLINE USE! If you know of any others, leave a comment. Four 222ers went to Nashville (Elise Suitt, Beth Riley, Jon Trawick and Peter Witkowski), along with Aaron & Anita Wilson, to attend the Passion '06 conference. We had a great time - despite lots of walking (really hard on a pregnant woman! ), but it was enjoyable, none the less. From Aaron's perspective, the most memorable times were hearing John Piper preach on the suffering of the Savior, and the suffering of the saints - then finding out just a few days later that Piper had just been diagnosed with Prostate Cancer. It would be interesting to listen to his sermons again, now knowing of his diagnosis. Here's a few other comments from those who went to the Passion '06 conference during the holiday break. As the several people dancing and singing wildly indicated, Passion 06 at times seemed to resemble simply an emotional high tied to spiritual things. But the conference is more than exciting, energetic (or if you wish, alternative) worship styles. 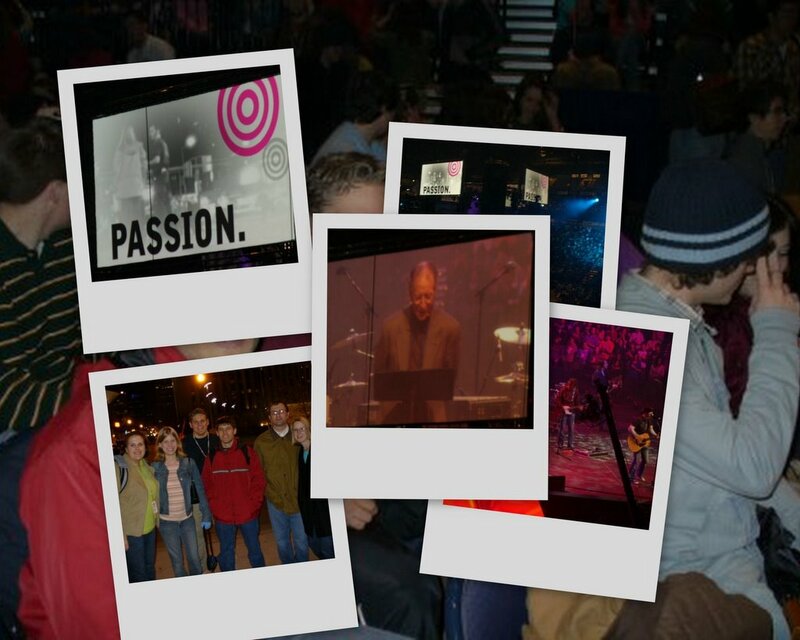 Passion 06 was a fresh reminder that we live for Christ and Christ alone. He should be the only passion in our lives. Often I find myself wanting to live for Christ and Peter or Christ and some worldly gain. I fully agreed with John Piper when he said that the hardest place to live, as a Christian, is middle class America. I gleaned the most meaningful instruction from this spiritual giant. His sermons detailing that God gained the most glory from Christ suffering on the cross and that we must follow our head and suffer that the gospel may go forth locally and abroad opened my eyes to my soul’s apathy. I know some look at Passion apprehensively because of the worship styles that characterize the conference. Regardless of your worship preferences, I would encourage all to attend Passion events or a similar conference. Worshiping God with over 18,000 fellow Christians, who affirm the essential doctrines of truth, was an unforgettable experience, giving one a small taste of what heaven will be like. Passion 06 faithfully fulfilled its mission of trying to set this generation on fire for Christ. My favorite part about Passion was the small group sessions! My leader was Fred Wyatt and he talked about several topics and one that I really enjoyed was our satisfaction in Christ. It really put into perspective where my satisfaction should always be and Who should it come from! I really learned a lot from all the topics, but this one was the one that really convicted me - that is, always being satisfied in Christ in every aspect of our life. I also enjoyed the worship time at the beginning of each main session and the concert with Chris Thomilin was amazing! To see Beth Riley's photos from the Passion trip, click here. You'll have to "register" first in order to view the photos, but it's fast and free.